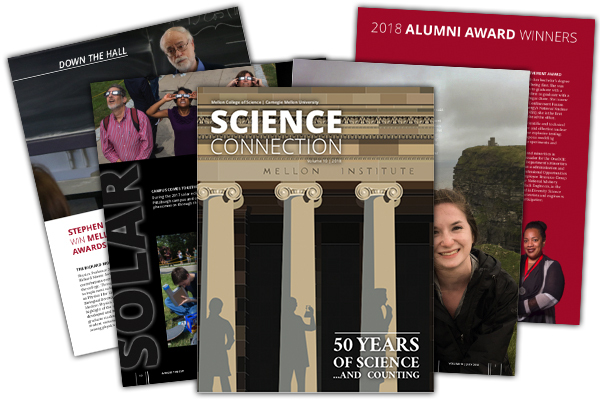 Science Connection is the official magazine for Carnegie Mellon University's Mellon College of Science. Science Connection is published annually and mailed to MCS alumni, faculty, students and staff. If you would like to be added to the mailing list complete this quick form.